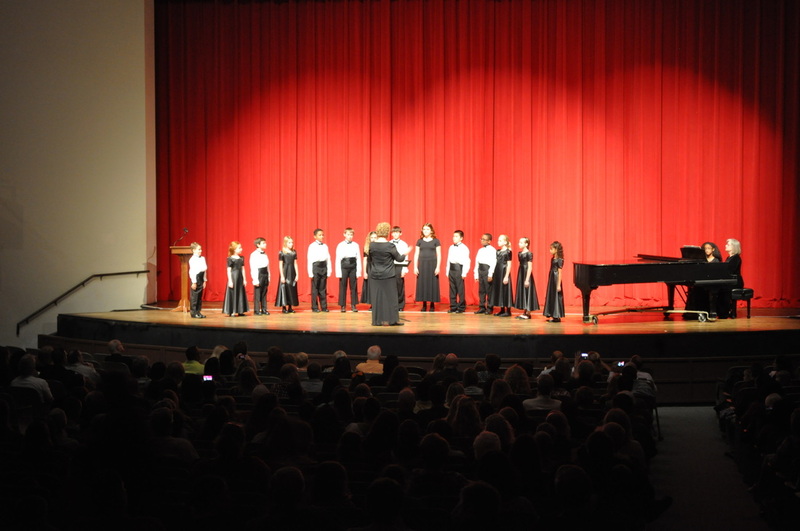 We are an auditioned choir for girls in grades 3-5 and boys with unchanged voices in grades 3 and older. 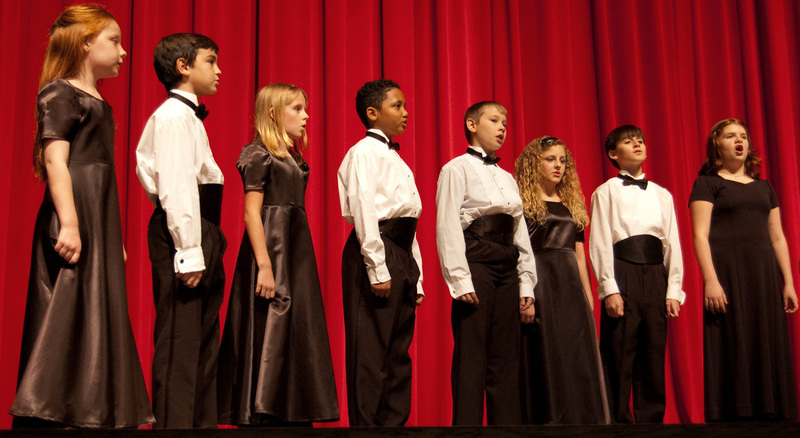 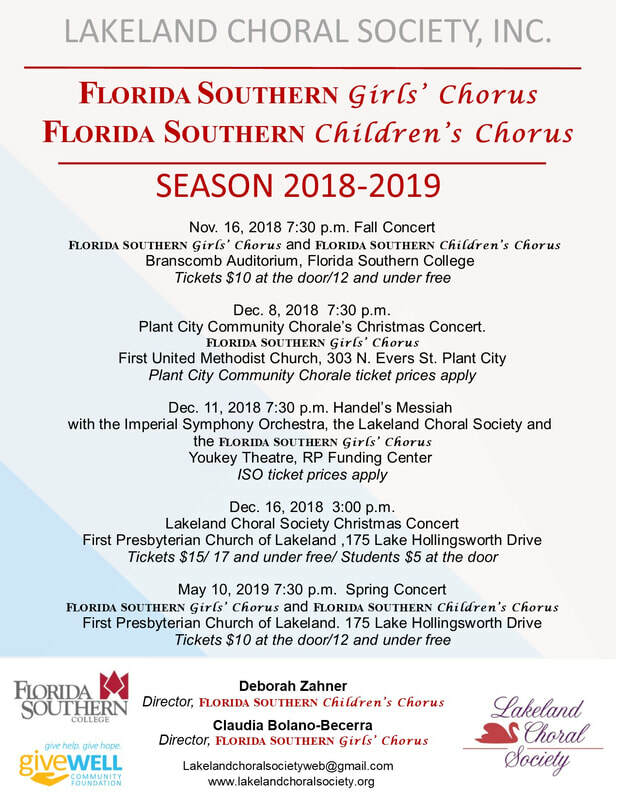 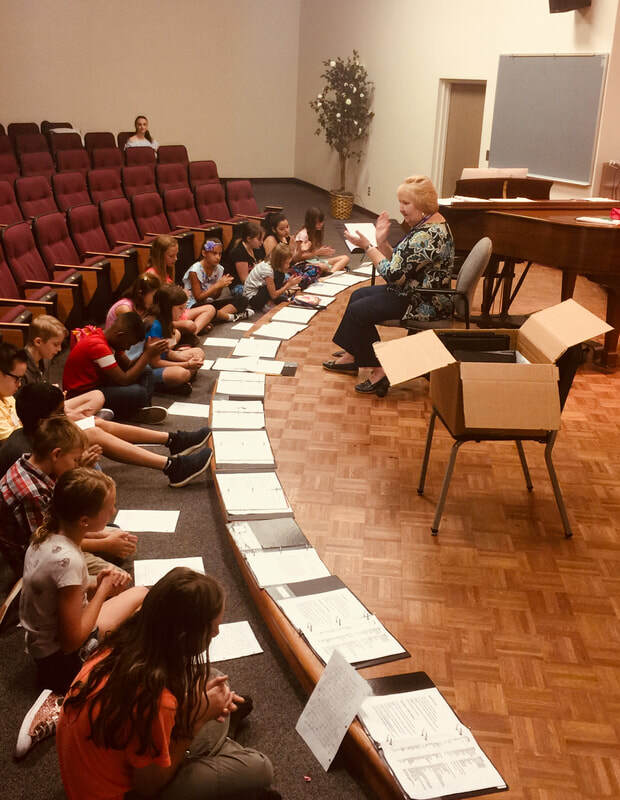 Our young singers come from homeschool, public school, private school, and arts academy environments throughout the Lakeland area and surrounding Polk County communities. 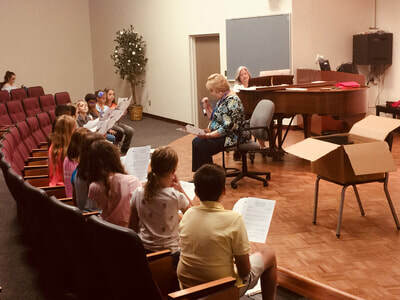 In addition to learning great music, the choir experience strives to help each child develop his or her voice and to gain understanding and proficiency in music reading skills. 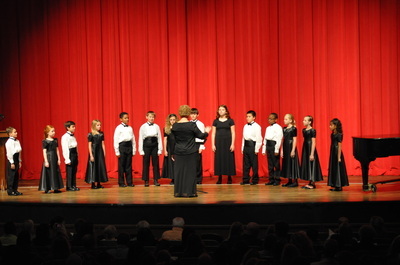 Deborah L. Zahner is the Founding Director of the Children's Chorus and Director of the Children's Chorus. 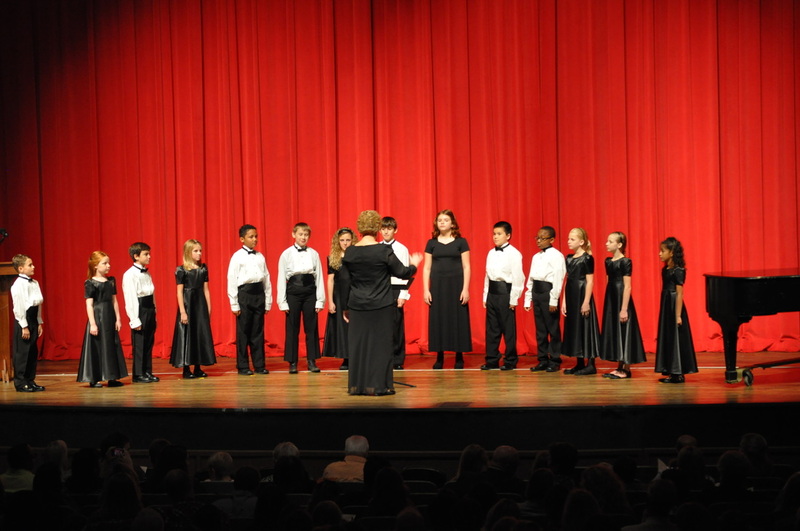 She holds a Bachelor of Music Education from University of South Florida. Ms. Zahner has extensive experience as a music specialist and choral director in Central and Coastal Central Florida and is an active member of the American Choral Directors' Association. 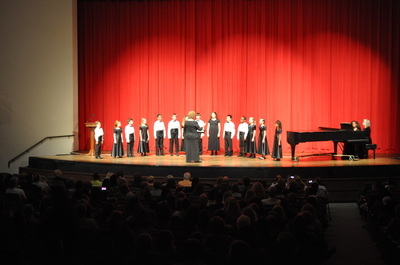 Dretha Fennell accompanies the Children's Choir. 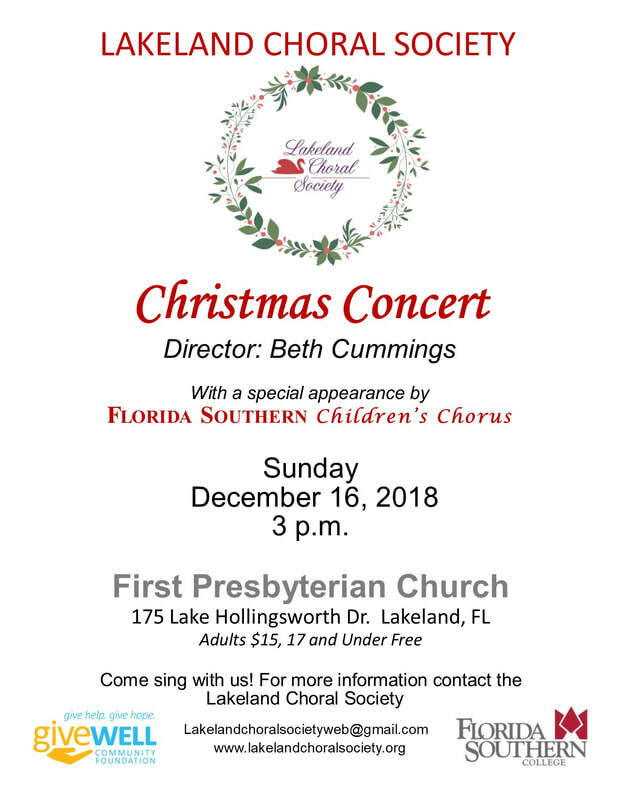 She holds a Bachelor of Music Education degree from Florida Southern College and is Music Specialist at Carlton Palmore Elementary in Lakeland.